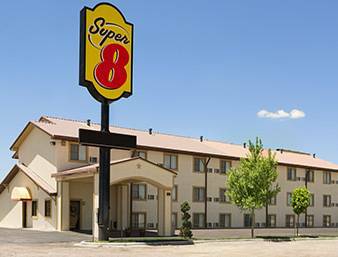 Welcome to the Airport Super 8, the eastern gateway to Amarillo. Explore the yellow city and discover the many points of interest the Panhandle has to offer. Whether here for tourism, commerce or just passing through, relax and comfortably enjoy the many modern amenities provided in our interior corridor property rooms. Come one, come all to our Super 8 and experience midwest charm. Pets fee $15 non refundable. Retired combine tractors are sunk at an angle in a remote farm field, a spoof of Amarillo's Cadillac Ranch. Is there no end to vehicle upending humor? A lanky, slouching cowboy giant, standing here since 1959. After a long period of deterioration, Tex was restored and repainted in 2016. An original filling station in tiny Turkey, restored with non-working old pumps and signage.